Two men’s appeal against convictions for the murder of PSNI constable Stephen Carroll has been adjourned until October after prosecutors claimed that new evidence has emerged in the case. Constable Carroll was ambushed and shot dead as he responded to a 999 call at Lismore Manor, Craigavon in March 2009. Brendan McConville (41) of Glenholme Avenue in Craigavon, is serving a 25 year sentence for the murder. Sean Paul Wootton (22) of Collindale, Lurgan, is serving a 14-year term for his alleged involvement in the killing. Their appeal against the conviction was due to open today. However the hearing was unexpectedly adjourned after the prosecution told the court that new evidence had emerged which needed to be investigated. Crown barrister, Ciaran Murphy QC, told the court that police had only become aware of new potential evidence last Thursday. Mr Murphy said that as a result of the new information a detective superintendent had been appointed by the PSNI to oversee the investigation of the new evidence. The court was told that one person had been arrested as a result of the evidence and interviewed for a two day period before being released without charge. The court was told that as part of the same investigation police had used covert surveillance against the individual and a solicitor. Mr Murphy described the PSNI investigation as “quite fluid” indicating that further police inquiries could take a number of weeks. However defence counsel claimed that police were attempting to sabotage the appeal, rather than obtain investigating new evidence in the case. McConville’s barrister, Barry Macdonald SC, told the court that the prosecution case in the original trial had relied heavily on the evidence of a witness, identified only as ‘M’. ‘M’ had been on his way to the home of a relative when he claimed to have seen Brendan McConville among a group of men close to the scene from where Constable Carroll was killed. The murder trial heard that ‘M’ had originally identified another named individual to police, alleged to be the Continuity IRA leader in Craigavon, but `M’ had been advised not to make reference to this man in his police statement as it could lead to ‘M’ and his family being targeted. Mr Macdonald said that a new witness had now emerged, who had not been interviewed by police at the time of the murder and had not given evidence at the original murder trial. The court was told that this man made a sworn affidavit earlier this month in which he described ‘M’ as a “compulsive liar” and that he was regarded by his family as a “Walter Mitty” type character with a fertile imagination. He denied that ‘M’ had visited his home on the night of the murder, as had been claimed at the original trial. 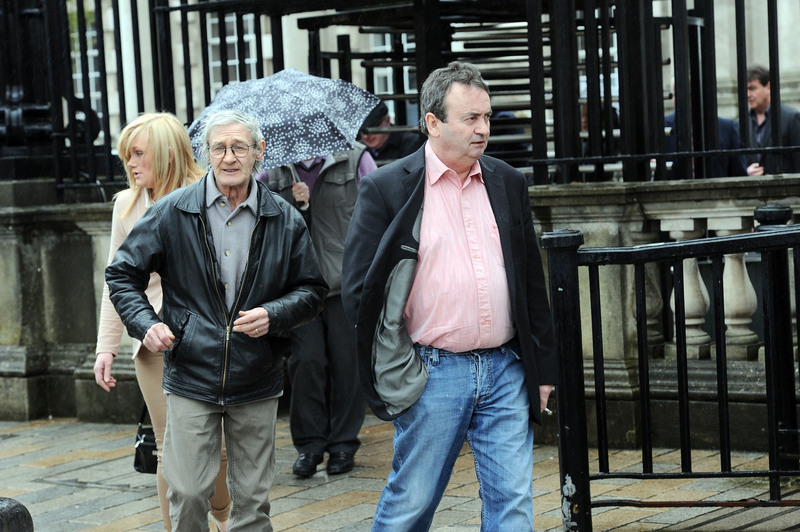 He said he’d been shocked to learn that the original trial judge had relied on ‘M’s evidence to convict Wootton and McConville. Mr Macdonald alleged that police had forced their way into the home of the man who contradicted ‘M’s evidence on April 22 and warned him that he would be discredited if he gave evidence at the appeal. “Two police officers called at the house of this witness on whose fresh evidence we relay,” he said. The court was told the man was then arrested the following day and questioned for 48 hours before being released without charge. Mr Macdonald said that a formal complaint had now been made to the Police Ombudsman about the alleged intimidation of this potential witness and the use of secret surveillance against him and a defence solicitor. “It appears to have been an attempt to sabotage the appeal,” the barrister told the court. Lord Chief Justice Sir Declan Morgan agreed to adjourn the case until October in light of what he described as a high level of uncertainty surrounding the factual circumstances of the case.